When it comes to budgeting, it is impossible to prepare for accidents or illness and when considering our pets, this usually means vet bills. Without government funded healthcare for our pets, medical and surgical treatments can be quite costly. Many technologies available in human medicine are now available in veterinary medicine, and with the expanding knowledge that accompanies this have come better treatments for a wide range of conditions. While this is good news for our patients, it has unfortunately resulted in veterinary fees increasing accordingly. Sadly, financial limitations often determine the level of veterinary care that our furry friends receive. Pet health insurance provides owners with the opportunity to provide the level of veterinary care that they deserve without the financial stress. The increasing popularity of pet health insurance has resulted in a flood of new pet insurance companies over the last few years. 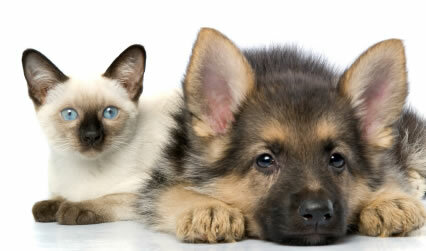 There is a pet insurance plan out there to suit every budget. The most budget conscious plans are generally included in some home contents insurance policies. These provided very affordable insurance which allows you to claim up to $500 in treatment for any one claim each year. This level of cover is suitable for minor illnesses and accidents. More comprehensive policies are available through a range of pet health insurance providers. Generally speaking these companies offer a range of products, ranging from injury-only policies, injury and illness policies to premium policies which include injury, illness and complete cover for routine preventative veterinary treatments. While these policies generally cost a little more, they have generous sub-limits which are more than adequate in most circumstances. Some offer options to reduce premiums by covering 80% of costs instead of 100%. These policies can provide real peace of mind if your pet requires a range of tests to reach a diagnosis, any major surgery or long term medications. While you may think it would be unlikely to have a pet which requires this level of cover, think again. Two of the most common conditions we see are arthritis and skin allergies and both these can be surprisingly costly to treat each month. The single most important benefit of having pet health insurance is being able to go ahead with recommended tests and treatments, allowing your vet to make a more accurate diagnosis and hence provide more effective treatment for your pet. Don’t hesitate to phone our practice on 3202 7300 to discuss various insurance options and to access a range of related information.